The gas trade has witnessed rapid growth due to emergence of an increasing environmental consciousness among the emerging economies; alongside production increases in the US and other oil and gas producing countries. In this context Drewry’s advisory team has been increasingly working with shipowners, traders, pure play investors and industrial users in the sector. The scope of work in LNG/LPG tankers has straddled a wide variety of assignments including market analysis, lender’s due diligence, asset valuation and seafreight strategy formulation. The gas shipping advisory team provides strategic, commercial and technical advisory services to industry players and investors. Our approach is to provide a bespoke package to each client, working to ensure that each project focuses on achieving its core objectives and that the analysis we prepare answers the client’s fundamental project questions. These questions range from whether it is the right time to invest in the sector to how to manage seafreight to ensure corporate competitiveness. In all our projects, our starting point is an in-depth understanding of the characteristics and dynamics of the global gas shipping market and a clear view of the outlook for the sector’s earnings and asset values. 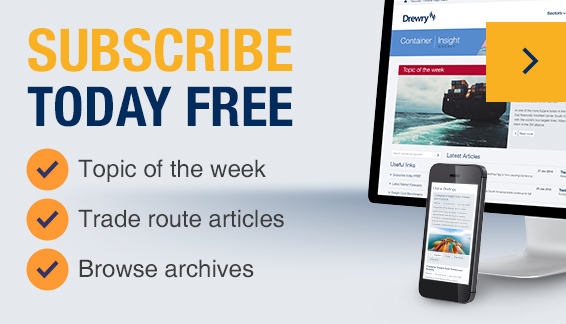 The advisory team works closely with Drewry’s LNG and LPG Shipping Research team, who provide up to date analysis on LNG and LPG trade, market rates and asset values, the newbuild orderbook and other key industry trends. This understanding of the market underpins our work in market analysis, commercial due diligence, valuation and investment appraisal. We prepare earnings and asset value projections under a variety of scenarios and combine this with financial modelling and analysis to allow clients to see the likely outcomes of planned investment. The outlook for the market and understanding of the gas shipping operations is used by our advisors in providing seafreight strategy formulation and freight benchmarking to industry users. Drewry’s in-house technical experts are able to offer a full range of technical services including desktop technical due diligence, health and safety due diligence, operating cost benchmarking and physical inspection of vessels. The combination of commercial, financial and technical expertise means that Drewry has the complete set of capabilities required to service all stakeholders within the LNG and LPG shipping market.